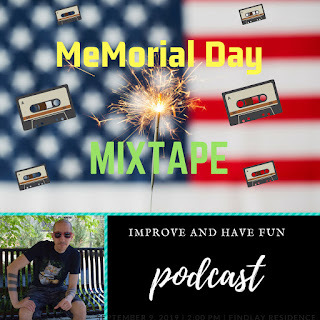 Improve and Have Fun: Memorial Day 2018 Mixtape! Happy Memorial Day 2018. I'd like to give a big shoutout to the U.S. Armed Forces on this national day of remembrance. This mixtape has some hip hop, afrobeat, soca, dancehall and more. Inbetween the segments I will quote some motivational words I've put together. Inspired by self-help books, videos, and podcasts I've consumed.